Learn one of the most advanced and rapid forms of change work ever developed. Integral Eye movement Therapy (IEMT) is a cutting edge technique in the world of mental health and is fast becoming the Therapy model of choice amongst the change work community. 2018 will see extensive training of the IEMT model. 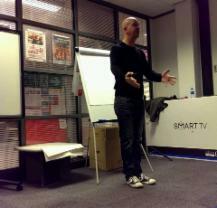 I have received many enquiries from local mental health workers interested in training in this life changing modality. Practitioners trained in the technique have reported that even the most resistant emotional problems have been quickly resolved, usually in a single session. IEMT has been proven to be highly effective on chronic problems, including PTSD and Chronic Pain. Problems most often resolved with IEMT are those issues where the person is somehow "stuck in their past." Guilt, shame and blame can be resolved with IEMT. Identity beliefs and self esteem issues such as, "I am no good," "I am clumsy" and so forth can also rapidly addressed and resolved using the methodology. As such IEMT can be an excellent adjunctive to other remedial psychotherapies to coaches and trainers specialising in success coaching and other generative change works. Integral Eye Movement Therapy (IEMT) is a developing area brief change work that explores the area of undesired emotions and our ways of being. The process explores the question, "How did we learn to feel the way that we feel?" and opens up the possibility of creating the appropriate change in our emotional lives. By teaching resources and skills inside the problem state, IEMT appears to bring the client more into the present moment and enables them to better stay out of past negative experiences. Practitioners consistently report that IEMT has created change in their clients where no other aproach has worked previously. 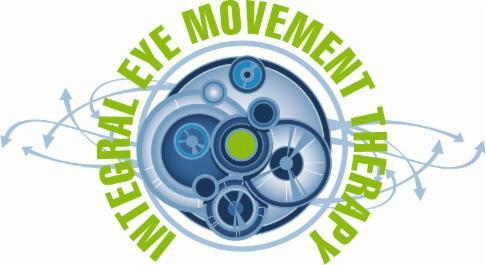 Integral Eye Movement Therapy was originally developed by Andrew T. Austin based on the work by Connirae and Steve Andreas and has been taught internationally in the USA, England, Poland and India. For the practitioner, IEMT is about precise calibration to the client. Unlike other treatments involving eye movements, with this model the eye movements are neither random nor simply a repetitive left and right movement in the hope that change will occur. The training provides the tools for the practitioner to precisely calibrate which axis through which to move the eyes enabling the exploration work to occur with precision and at a remarkable speed. IEMT is not the grand unified theory of therapy and change work and is still a developing model, but is a very useful adjunctive for the trained therapists and when used in the right hands can provide an excellent remedial tool for emotional change and a generative tool for identity change. Practitioners are reporting that IEMT enables excellent results where previously a good outcome might have appeared improbable. Click here to book your course today!! !